Cisco ACI (Application Centric Infrastructure) has already gained much early support from the its data center partners. By creating a new way to link networks and applications in a highly virtualized data center, Cisco ACI is considered as “a revolutionary re-thinking of how to provision and manage data center networks”. Which has the potential to completely shift the way that large, highly virtualized data center networks are configured and built. So what is Cisco ACI all about? How can ACI benefit our network? This article may explain it to you. Cisco ACI mainly consists of two components. The first is the Application Policy Infrastructure Controller (APIC), which can be seen as a virtual machine. The APIC holds a database of application configuration information, and works to turn this information into network configurations and push those configurations into devices. 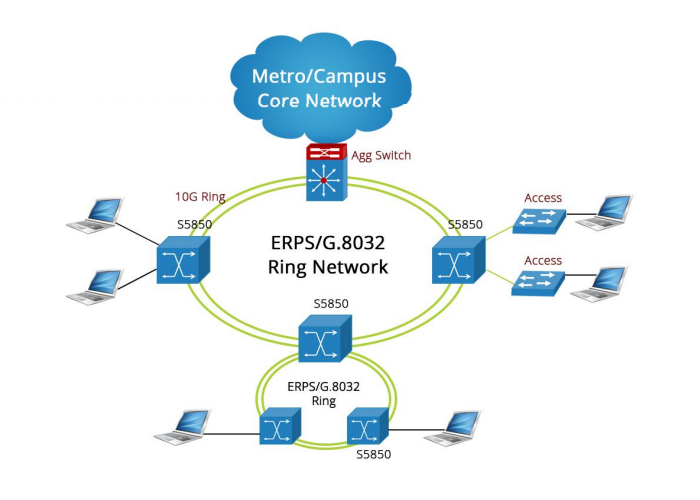 The second is a set of real and virtual network devices that are optimized for ACI. 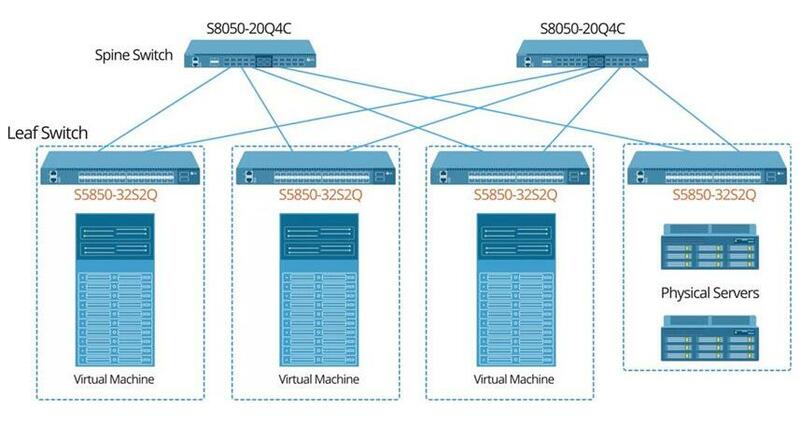 For example, devices like Cisco’s Nexus 9300 switches when run in Cisco ACI mode and with ACI-supported line cards. Generally speaking, Cisco ACI is Cisco’s attempt to solve the prominent and significant problem of integration between applications and networks. With ACI, there’s no “closedness” in how you access the system. Servers and top-of-rack network switches can be changed without requiring associated re-definition of those models. The benefit is that organizations can rapidly provision and migrate resources based on application policy, reduce the cost of operations, shorten application deployment time and make “on the fly” changes. In a sense, Cisco ACI brings “just in time” provisioning of IT resources to the world of applications. Cisco ACI captures the “intent” of an application directly from the application owner, which allows for the application owner to control their network provisioning, creating a consistent and documented configuration in network elements. The data center network is thus presented as abstractions that make sense to the application owner. This simplifies scalability issues that tie up network managers, such as subnets, VLANs, virtual routers (VRF), and access control lists (ACL). Therefore, much less time will be spent on configuring, troubleshooting, and debugging data center configurations – which can be a pretty good thing for network managers. The advantages of Cisco ACI is listed as following. Cisco ACI builds the data center fabric on top of VXLAN, which allows any-to-any layer 2 connectivity – seems not a big deal in traditional server environments where each server stays connected to the same set of Ethernet ports all the time. But when data center moves to virtualization, a single physical server may have dozens of virtual servers, each with their own MAC address and their own layer 2 connectivity requirements. More importantly, as those virtual servers migrate between physical servers, there’s a requirement for the network to keep everything straight so that each virtual server is properly connected to its VLAN and subnet. In this case, the ACI-aware VXLAN fabric in Nexus 9300 makes a critical and valuable part of the system. 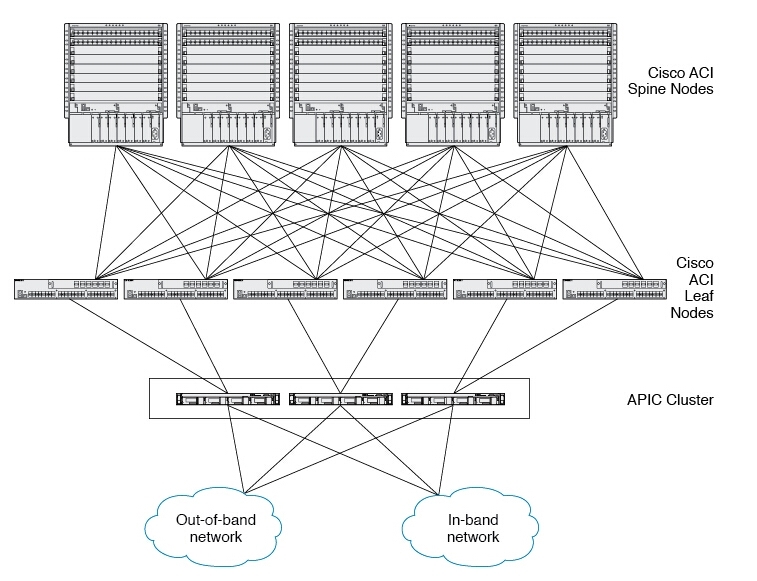 The following picture shows Cisco ACI fabric topology with Nexus 9300 switches. Since the early goal of Cisco ACI is to offer customers alternative on how and where they run applications, it now supports multiple hypervisors, bare metal servers, and Linux containers on premise and has become the most open, flexible and widely deployed SDN in the industry. ACI presents an ideal choice to enhance operational efficiencies, deliver network automation, and improve security for their on-premises data centers and private clouds. And it has stretch the reach to public cloud domain. Consequently, ACI enables users more flexibility to run applications across their private clouds and public clouds, with the ability to maintain consistent network policies across their entire multimode domain. 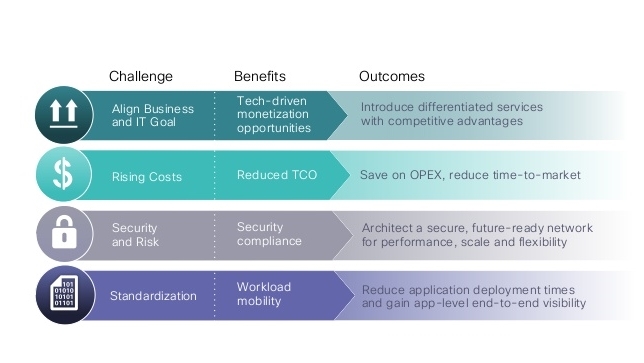 Cisco ACI combines traditional switching technologies with advanced management and automation capabilities, allowing the customers to shorten application deployment time, streamline operations and reduce operating expenses. 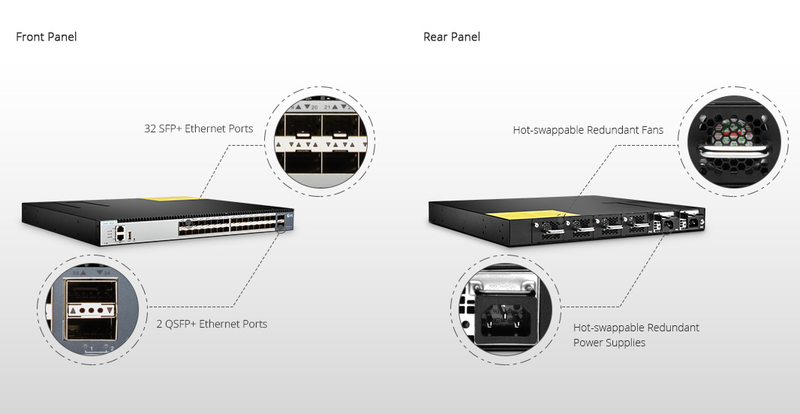 As a member of Cisco’s popular Nexus 9300 switch family, Nexus 9372PX is a ACI-supported switch using as a leaf nodes in Cisco ACI fabric. 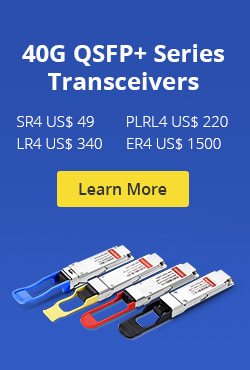 FS N5850-48S6Q 10gb switch has the same port configuration as ACI-enabled Nexus 9372PX: 48 fixed 10G SFP+ ports and 6 fixed 40G QSFP+ ports that delivers 1.44 Tbps of bandwidth, but with only a fraction of the cost. 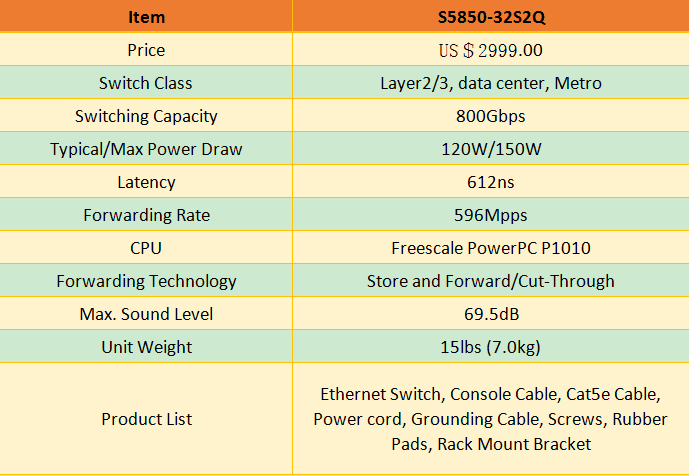 FS offers a wide range of solutions to help deploy N5850-48S6Q in your data center, visit www.fs.com for more tech support. 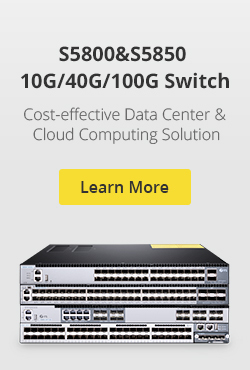 This entry was posted in Data Center Switch and tagged 10Gb switch, Cisco ACI, Cisco Nexus 9300, FS N5850-48S6Q on October 25, 2017 by Aria Zhu.